Claire is a self taught artist from the West Coast. She creates most of her work in the Highland town of Fort William. She has exhibited in Glasgow and Central Edinburgh galleries. 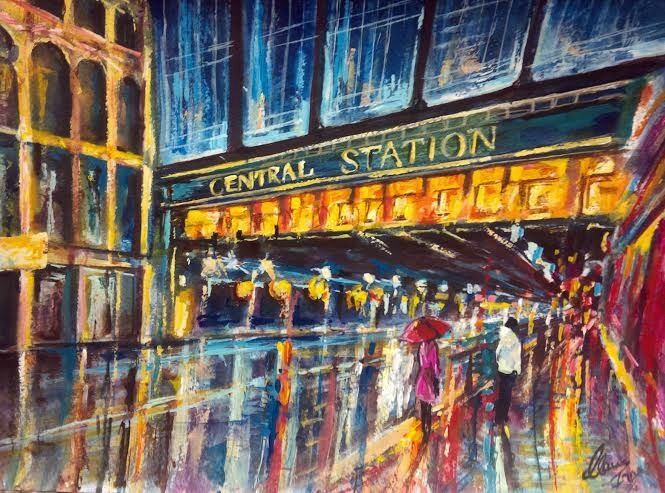 Her most popular subjects are the vibrant cityscapes of Glasgow, Edinburgh and Inverness although she also paints floral watercolours and West Coast seascapes. Her impressionist approach to painting is very distinct with the colourful pieces being bought from all corners of the world. 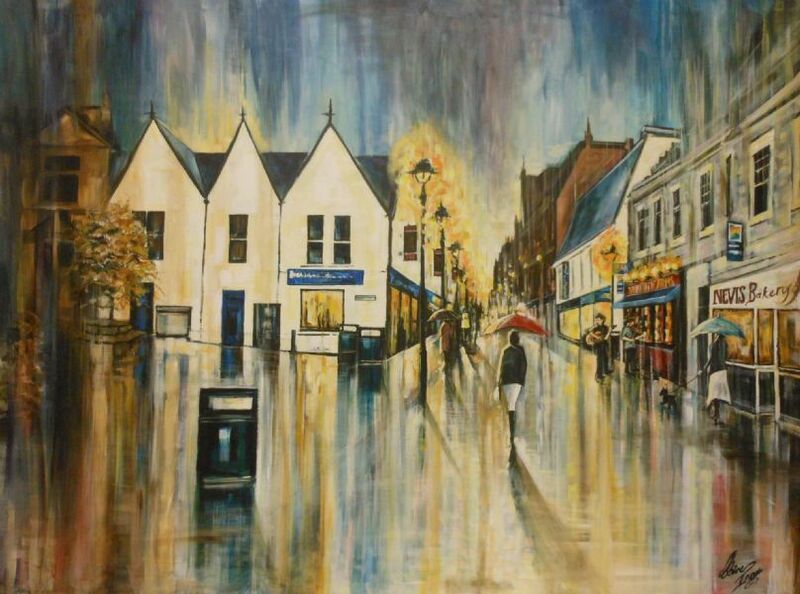 Often combining the Scottish rain with bright colours, she has caught the attention of many an art buyer, including actors, musicians and TV personalities, who have been impressed by her Scottish city scenes describing her work as having a "real essence of life". She has also provided artwork for film posters and album covers and continues to paint music inspired pieces. Claire has been a finalist in the PSYBT Jolomo awards and, more recently, has been filmed for National Geographic channel painting Castle Stalker on Argyll shores. A full portfolio of past artworks available on facebook page Claire Innes Highland Artist.